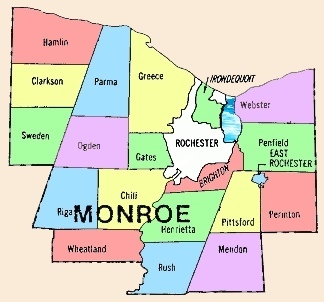 These are the maps that are here on the GenWeb of Monroe County. Besides these maps, there are many cemetery maps on the Cemetery Page and links to maps on other websites on the Links Page. 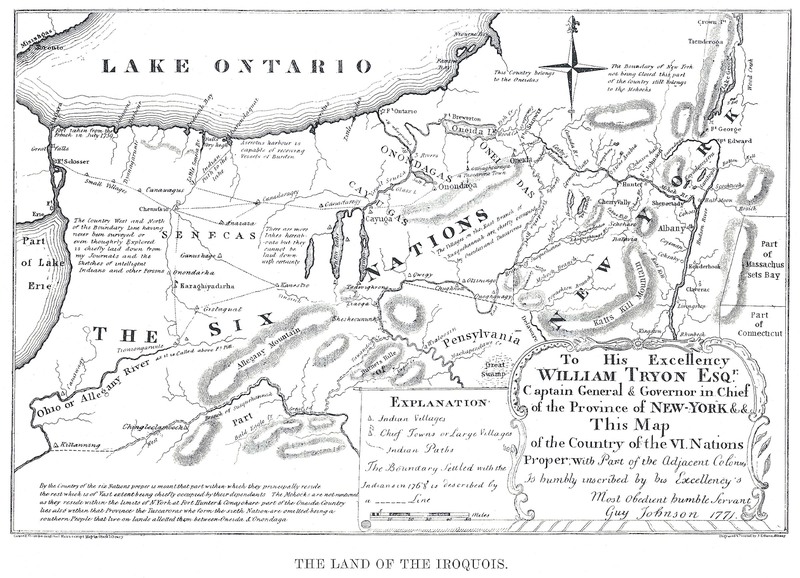 1771 Map of the Land of the Six Nations (AKA the Iroquois) in current New York State. (Jpeg file; 750kb). 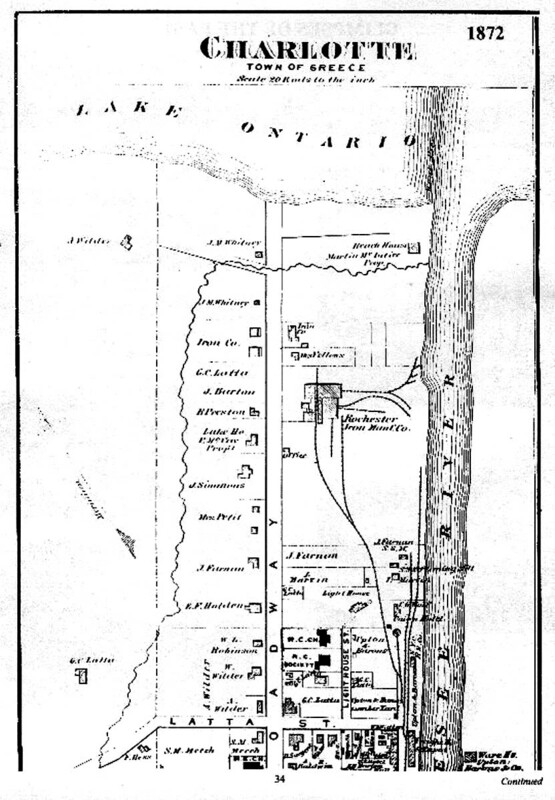 1794 Map of Phelps & Gorham's Purchase (Jpeg file; 1mb). 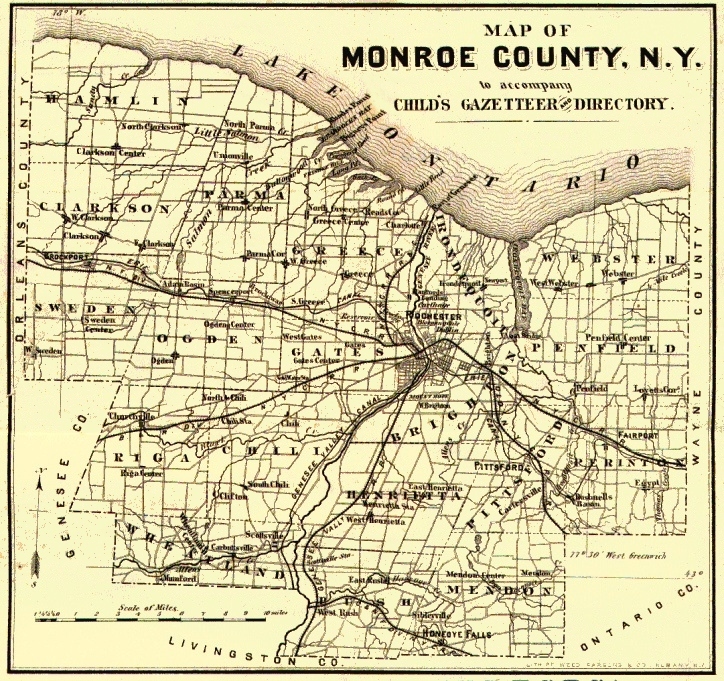 1869-70 Map of Monroe County from Child's Gazetteer (Jpeg file; 480kb). 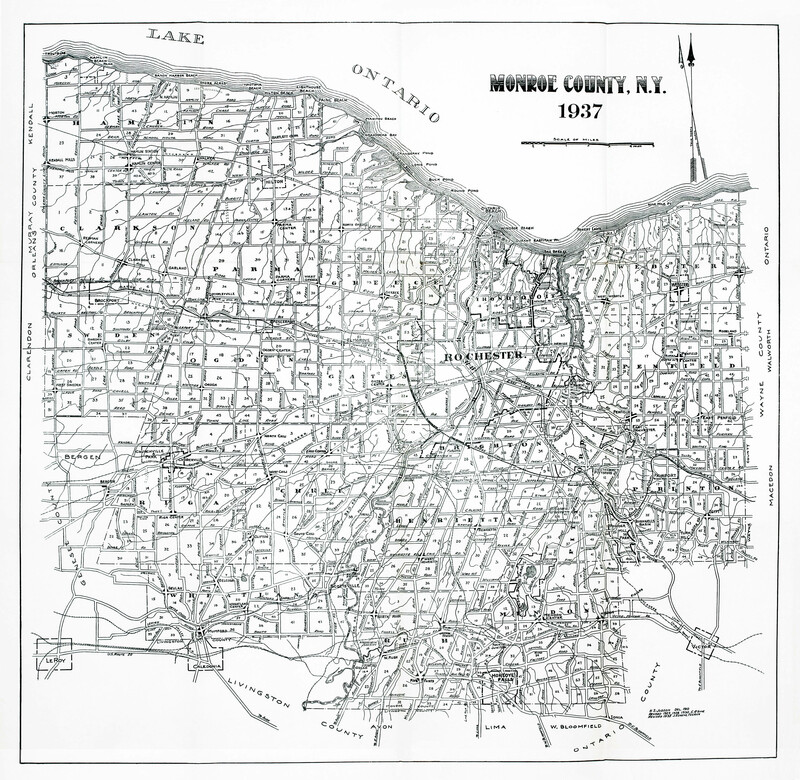 1908 Highway Maps for the entire county. 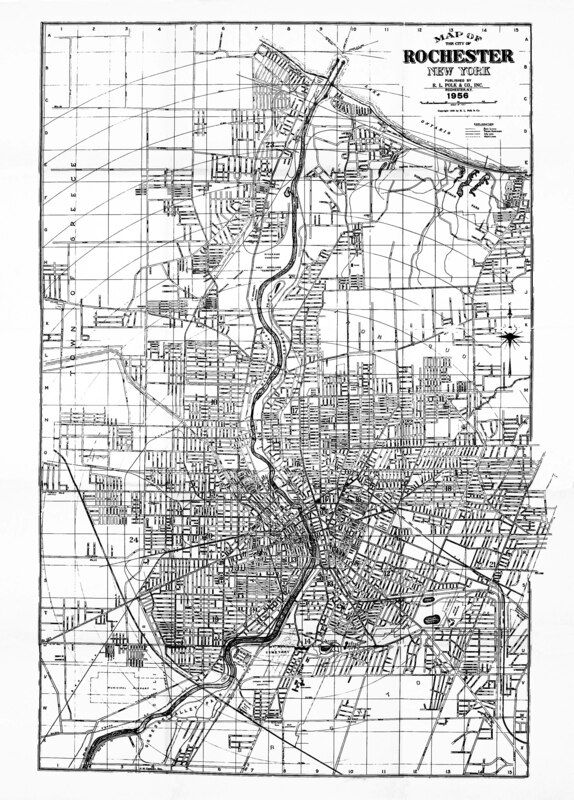 1954 Town Maps for the towns. 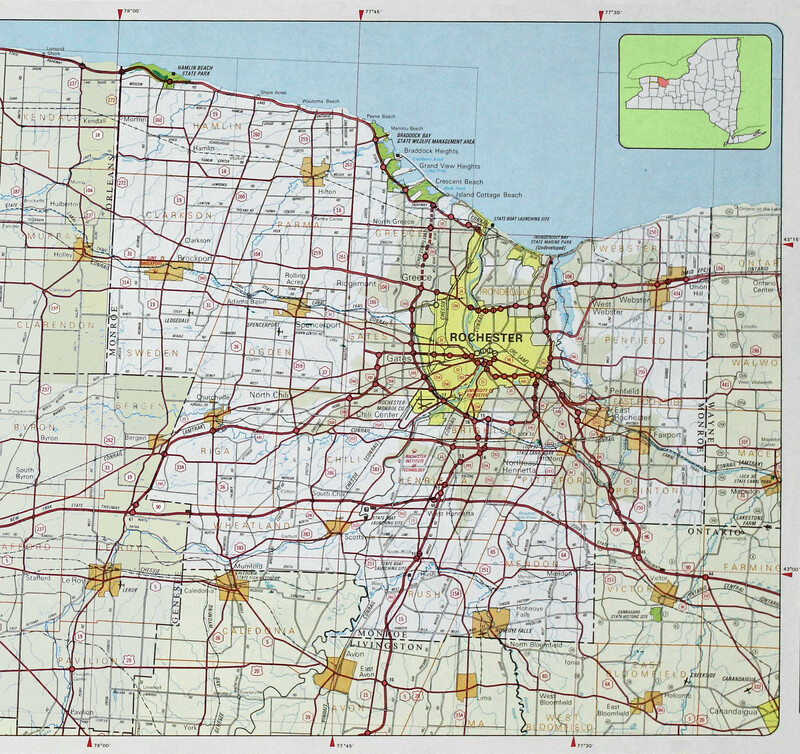 1980 Road map of Monroe County (Jpeg file; 835kb). The former Village of Carthage. (Jpeg file; 184kn). 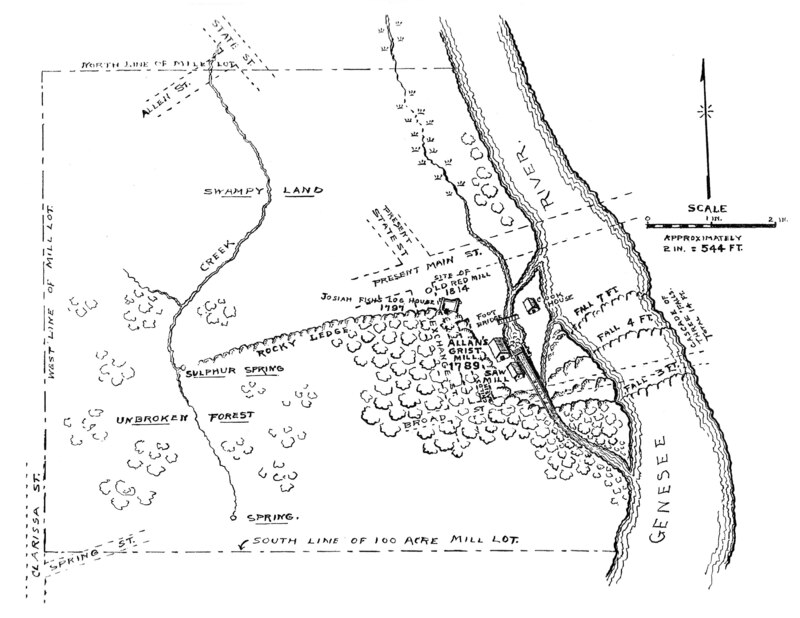 Village of Charlotte in 1872 (northern half) (Jpeg file; 203kb). 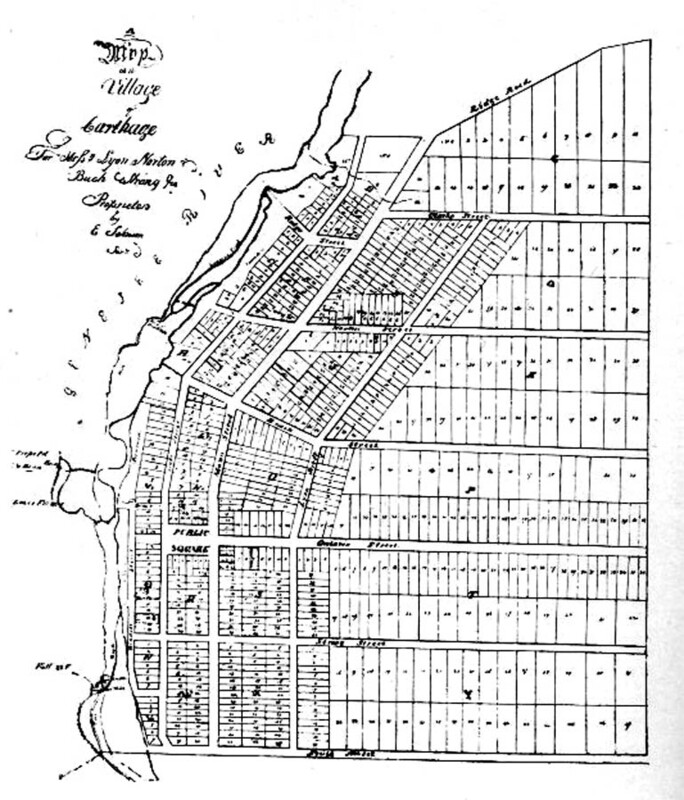 Village of Charlotte in 1872 (southern half) (Jpeg file; 192kb). 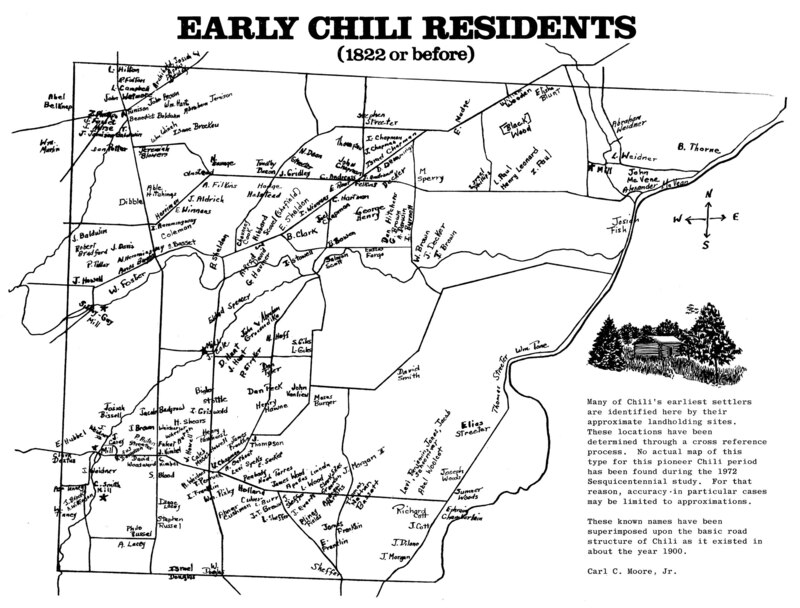 Early Chili Residents - before 1822 (Jpeg file; 280kb). 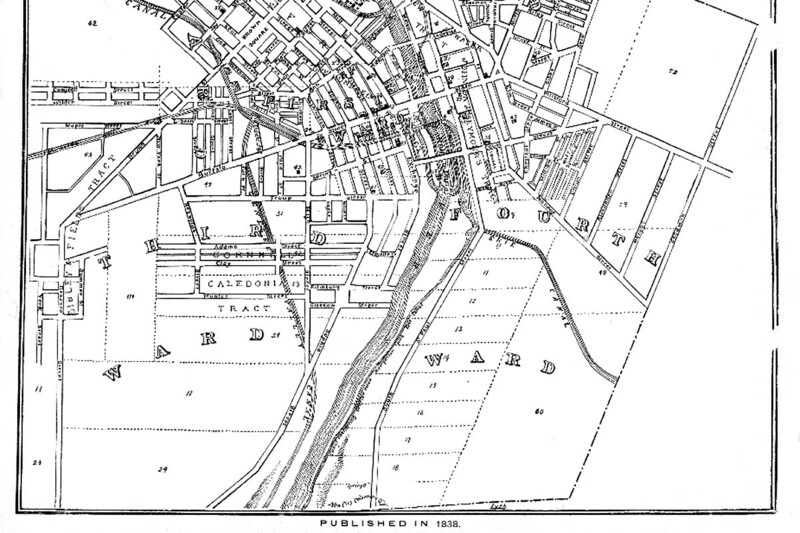 100 Acre Tract, 1814 - now downtown Rochester (Jpeg file; 550kb). 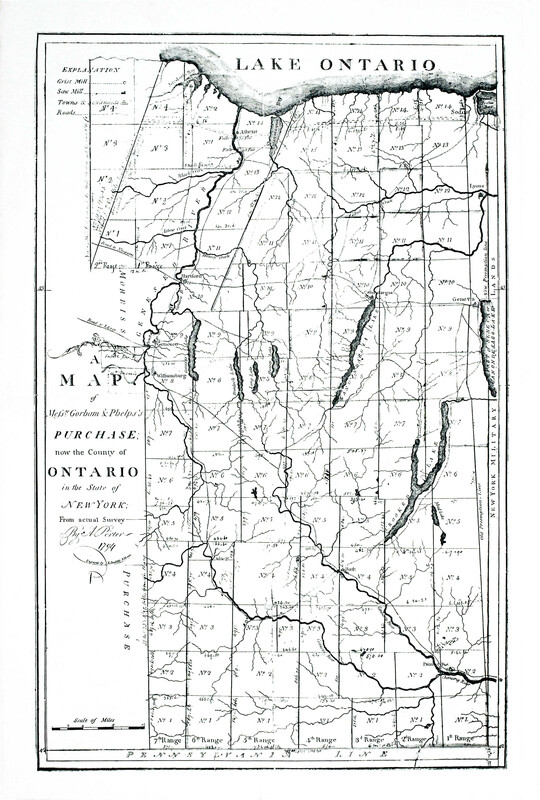 Village of Rochester in 1817 (Jpeg file; 187kb). 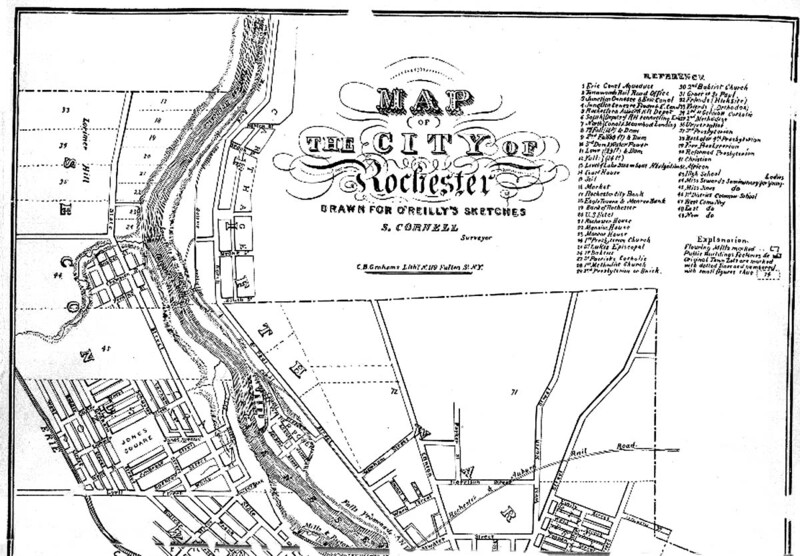 Northern half of 1838 Map of Rochester (Jpeg file; 270kb). 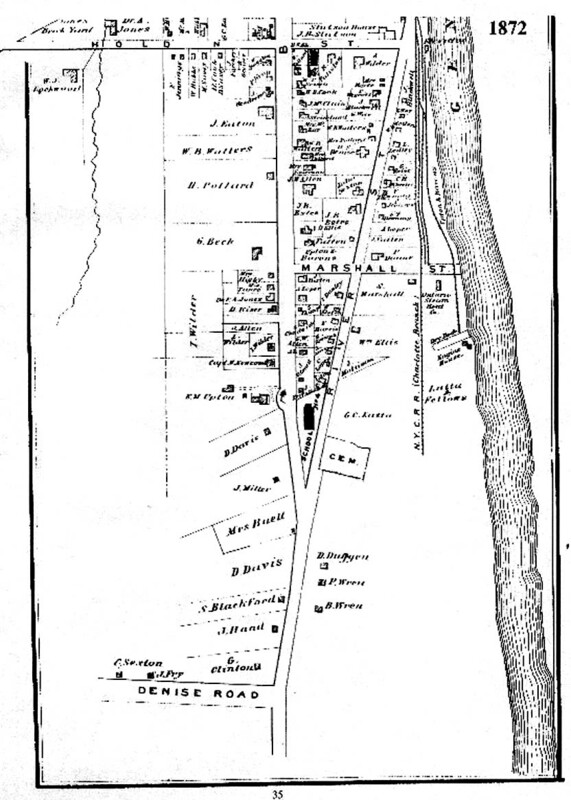 Southern half of 1838 Map of Rochester (Jpeg file; 253kb). 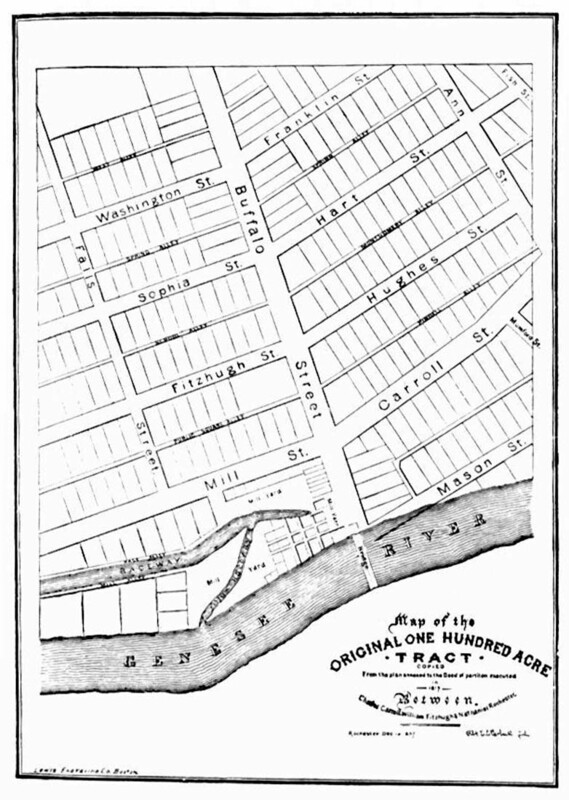 1904 Map of Rochester (Jpeg file; 1mb). 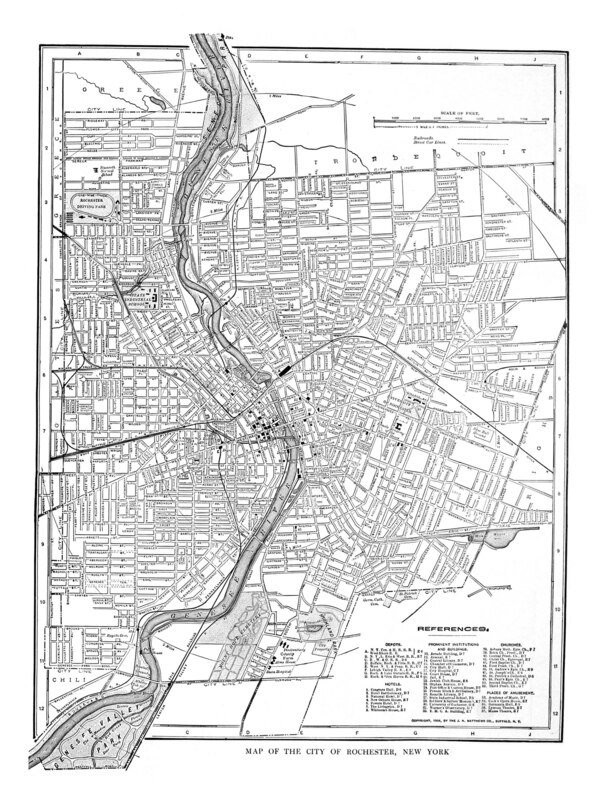 1956 Map of Rochester (Jpeg file; 2.1mb). 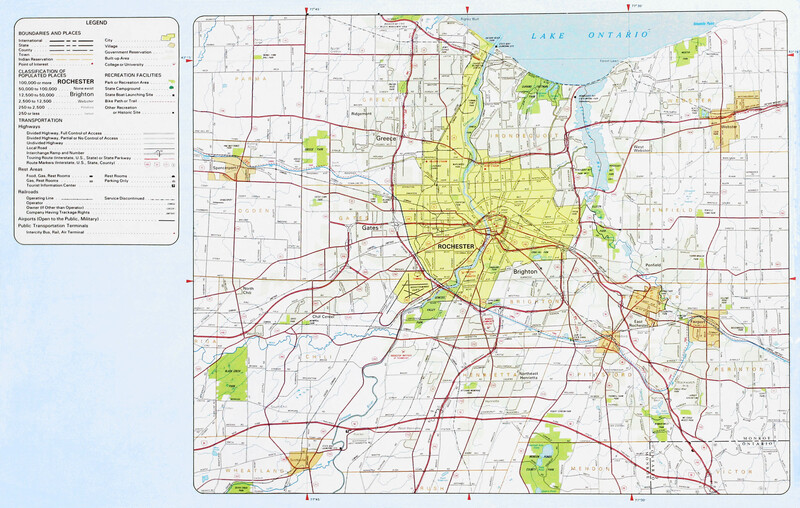 1980 Map of Rochester and close suburbs (Jpeg file; 920kb). 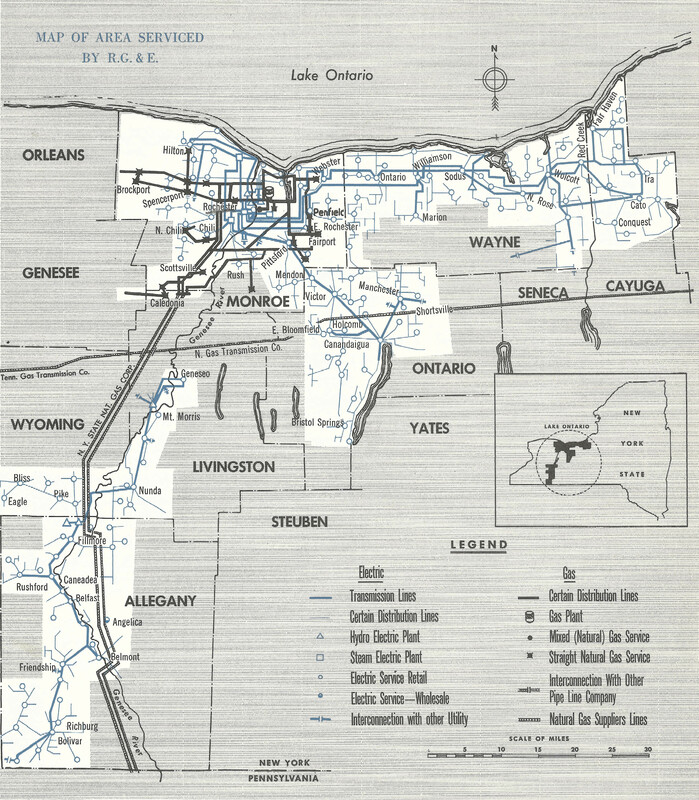 Map of service area for Rochester Gas & Electric; 1957 (Jpeg file; 2.8mb).